The AA Highway just west of Vanceburg will get nearly five miles of new blacktop as part of an $800,000 Kentucky Transportation Cabinet improvement project. 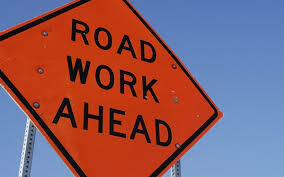 Beginning this week, contractors will mill away old blacktop and resurface the AA Highway between Ky. Rt 59 (mile marker 11) in Vanceburg to just north of Ghost Hollow Road (near mile marker 16). Major paving is expected to take place this week with other work possible several days afterward. During the project, motorists should expect daily one-lane flagged traffic on the AA Highway where crews are working. Work zones and delays could be lengthy at times. Motorists should adjust travel plans accordingly. The majority of the work area on the AA Highway is between Vanceburg and Clarksburg and motorists may use Clarksburg Road (Ky. Rt. 3037) to avoid that stretch of roadway during the times crews will be working.